Para Powerlifting made its debut at the 1964 Paralympic Games in Tokyo, featuring a handful of male competitors with spinal cord injuries. Fast-forward to the present day and the sport boasts hundreds of elite male and female athletes from a variety of disability groups, representing more than 110 countries. Considered as the ultimate test of upper body strength, Para Powerlifting is one of the fastest growing Paralympic sports. The British Powerlifting programme has been incredibly successful, and we are incredibly proud to support the growth of Para Powerlifting throughout the UK. In recent years, the programme has produced athletes such as Ali Jawad, Micky Yule and Natalie Blake, with the support of personal coaches and practitioners working together. All of which have earned many accolades. In recent years these inspirational athletes have earned Paralympic medals, IPC World and European Championships, Commonwealth titles and British Championships to name but a few. The sport has been adapted from non-disabled powerlifting, however it solely concentrates on the Bench Press movement. The Bench Press sees athletes assume a supine position (flat on their back) on a specially designed bench with the bar suspended above them in a rack. The bar is loaded with weights, and after taking or receiving it at arms-length, the athlete lowers the bar and holds it motionless on their chest. They then press it upwards to arms-length and lock out their elbows simultaneously. The result is an incredible feat of strength and one of the most viewed and exciting Paralympic events, particularly when athletes are lifting more than three times their bodyweight! Para Powerlifting competitions follow technical rules, and are adjudicated by three referees as athletes make attempts at lifting the heaviest weight. Once positioned on the bench, an athlete must perform the lift after given the ‘Start’ signal. Once the lift has been completed they will receive a ‘Rack’ signal and return the bar to the rack. An immediate decision will be made by the referees as to whether the lift was successful or not. Referees will use the system of white and red lights, whereby a white light is given for a successful lift and a red light signifies an unsuccessful lift. Each athlete has three attempts to lift their maximum weight and the winner is the person who lifts the most weight in their bodyweight category. In total there are 10 weight categories for both men’s and women’s competitions. The men’s categories range from 49kg up to +107kg, whereas the women’s categories start at 41kg and go up to +86kg. If you would like to read up on all of Para Powerlifting’s technical rules, please visit our Resource Centre for more information. Before making the decision to begin Para Powerlifting please visit your GP to understand if you are safe to do so, and also to compete. Your GP will also need to complete the IPC Medical Diagnostics Form (download this here) along with a letter of safety - you will need both of these to be reviewed by BWL before you compete to determine your eligibility to participate nationally. 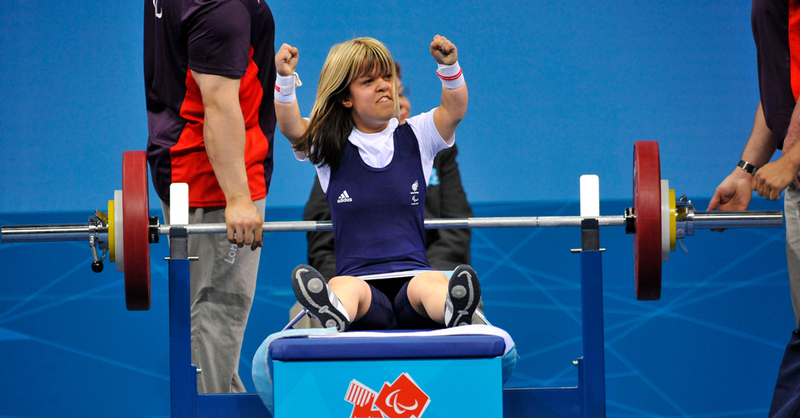 Click on the link for 'How to get into Para Powerlifting overview' at the bottom of the page for more details of what to do next. If you are not within easy access of any of the above investigate what access you have to accessible weightlifting club/gym facilities in your local area. You can also use our club finder tool to see which gyms and clubs cater for Powerlifting in your local area. Understand the competition/events schedule and national classification opportunities prior to competing for the first time.